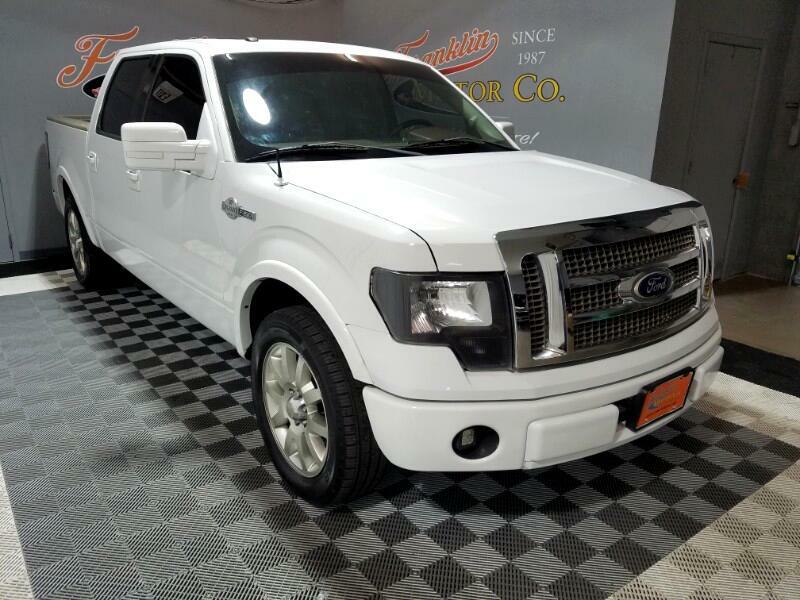 Franklin Motors is proud to present this 2010 Ford F-150 King Ranch. The Ford F-150 is the best-selling pickup in America and rightfully so. These are some capable trucks, even if you choose the Luxury option like this King Ranch. Smooth and quiet, the F-150 is comfortable on bumpy streets around town, over rugged terrain such as that found at construction sites, and on the open road. Its steering is nicely waited and requires little correction on the highway making it nice for long cross-country tows. The King Ranch trim level gives you, KR badges, unique wheels, mesh chrome grille, Chaparral leather heated and cooled power captain’s chairs with driver memory, and power folding signal outside mirrors. Our King Ranch also come with some modifications. You'll see that the front and rear headlights have been swapped out and upgraded to a more blacked out look. The rear bumper is an aftermarket design that resembles a bumper delete. You'll also notice that there is two rear facing LED lights within the bumper. The front also has LEDs and they are located within the fog lights. The Ford F-150 is among the heavier trucks in its class, contributing to a solid feel and none of that empty metal box bang-and-clang that characterized pickups of old. There's an impression of substance and tight construction. The Ford F-150 delivers a strong combination of style, interior comfort, performance, ride and hauling ability.